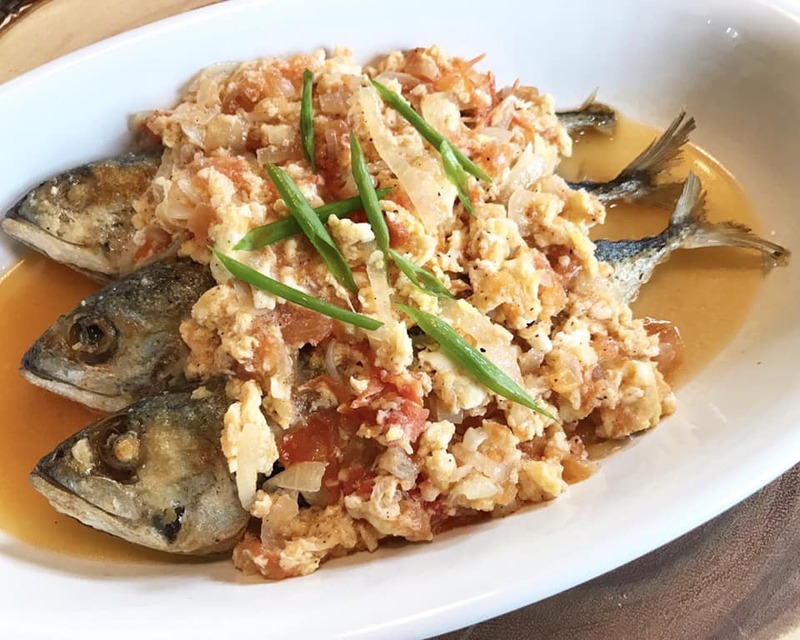 Tilapia Escabeche is the Filipino version of Sweet and Sour Fish recipe. 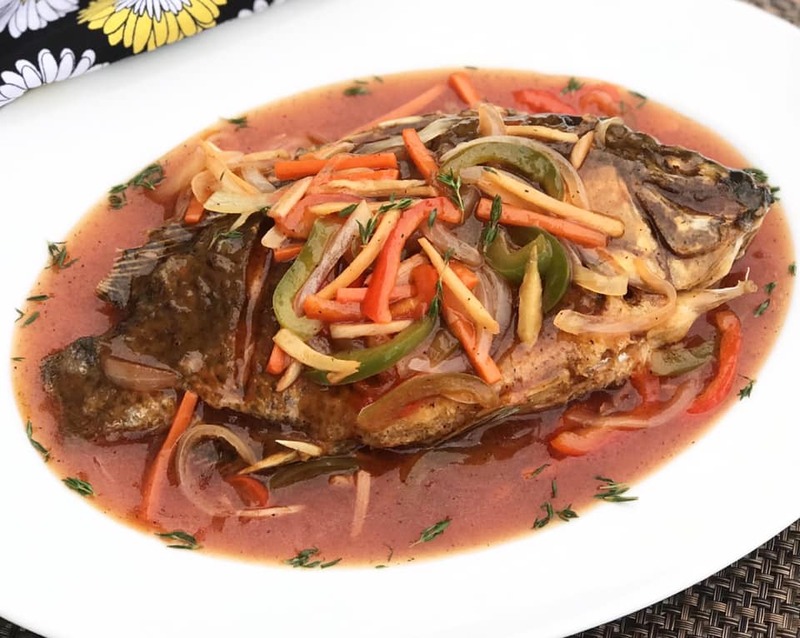 Tilapia Escabeche is served as a whole fish deep fried and topped with sweet and sour sauce Filipino-style. You may also use other kind of fish like maya-maya, pompano, bangus, sea bass(bulgan) or pretty much any white fish you like. 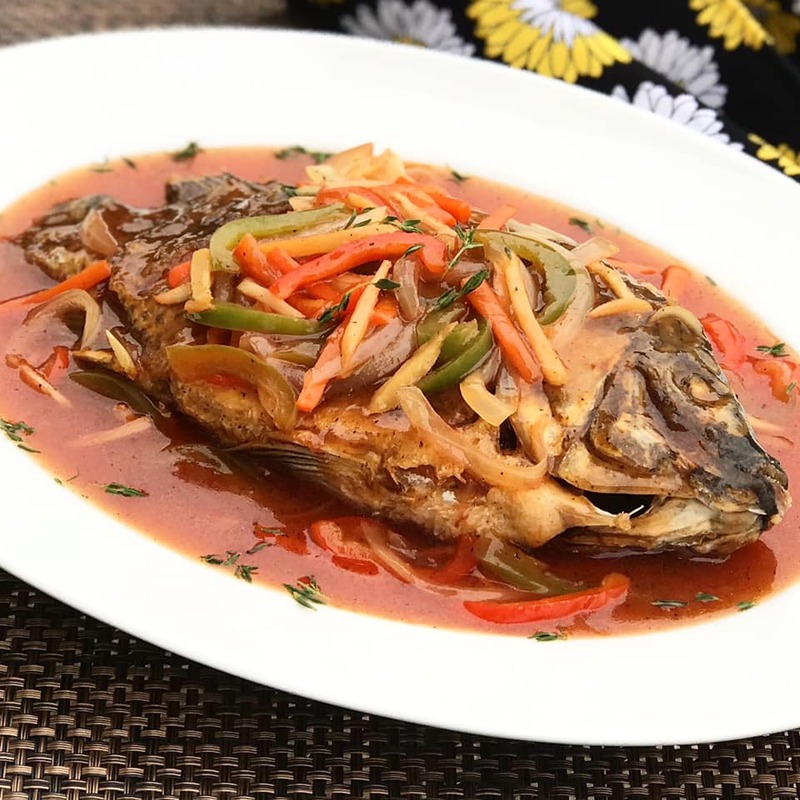 Fish Escabeche is easy to prepare and brings your plain fried fish to a special dish. 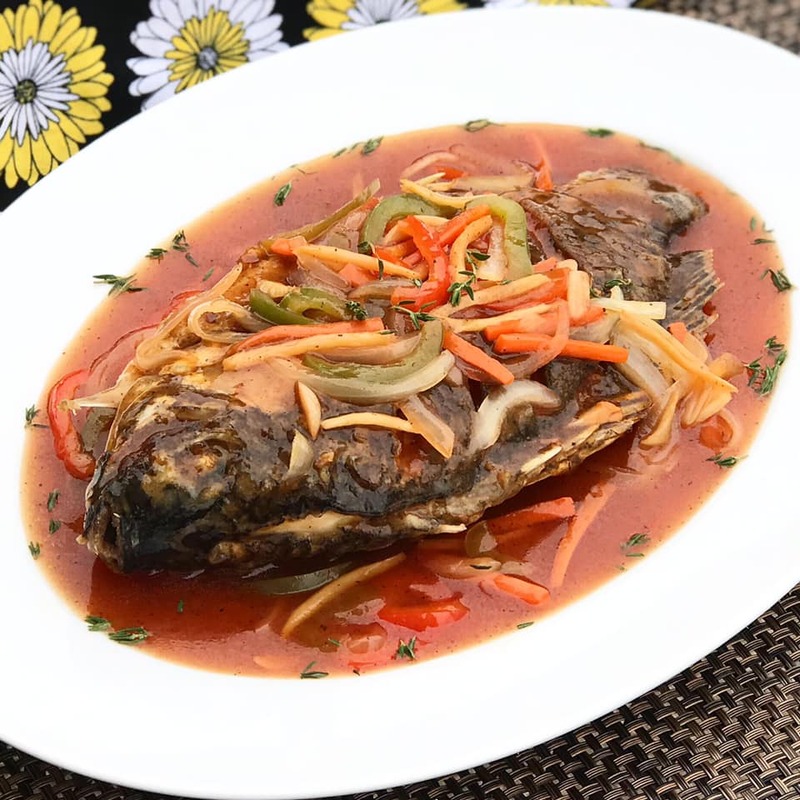 Make and share this delicious Tilapia Escabeche. 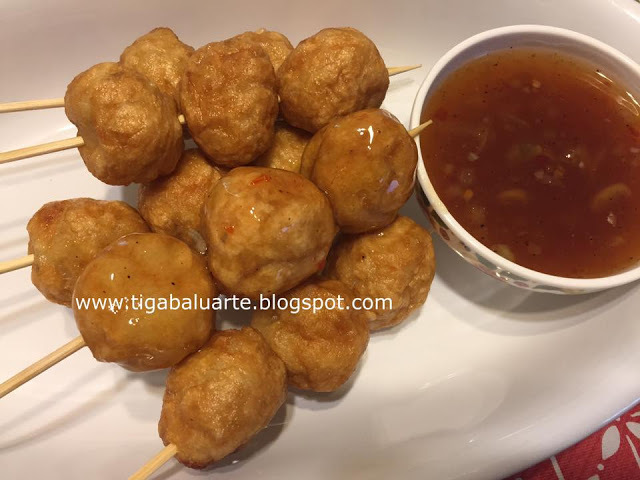 Easy to make using simple ingredients and perfect for a busy weekday. 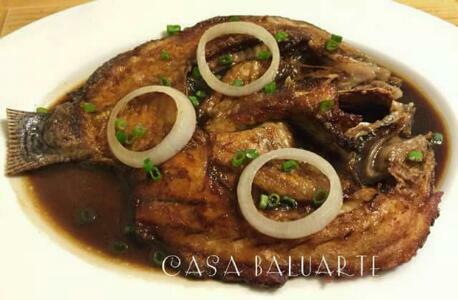 Combination of vinegar and sugar makes Tilapia Escabeche one of the Filipinos favorite food. Try this Fish Escabeche and share with family and friends. 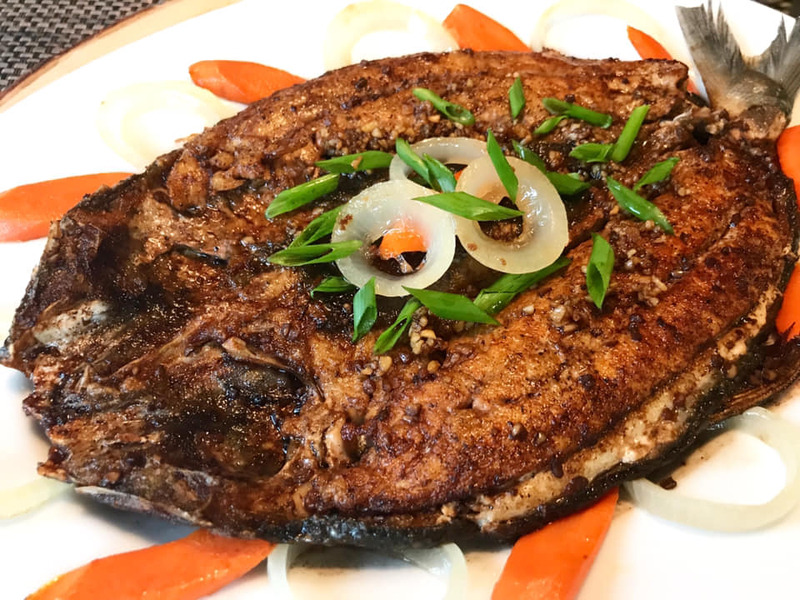 Check related Filipino fish recipes below by clicking on the name link below the picture to see complete recipe. Clean tilapia thoroughly. Pat dry and season with salt. In a wide pan over medium heat, add enough cooking oil to cover half of the fish. Fry fish until crisp and golden brown for about 3 to 5 minutes on each side. Fry longer if needed. Remove from pan, drain excess oil and place in a serving plate. In a bowl, combine vinegar, sugar and ketchup. Stir to combine and set aside. In a medium sauce pan over medium heat, add 2 tablespoon of oil. Saute ginger, garlic and onion until aromatic for about 2 minutes. Add carrots and bell peppers. Stir and cook for a minute. Pour in vinegar-sugar mixture to the pan and stir. Allow to boil for about 2 minutes. Add cornstarch diluted in water to the pan and stir. Reduce heat to low and simmer for 3 to 5 minutes. Taste to see if more salt or sugar is needed. Pour sauce over fried fish and serve warm with steam rice. Enjoy!